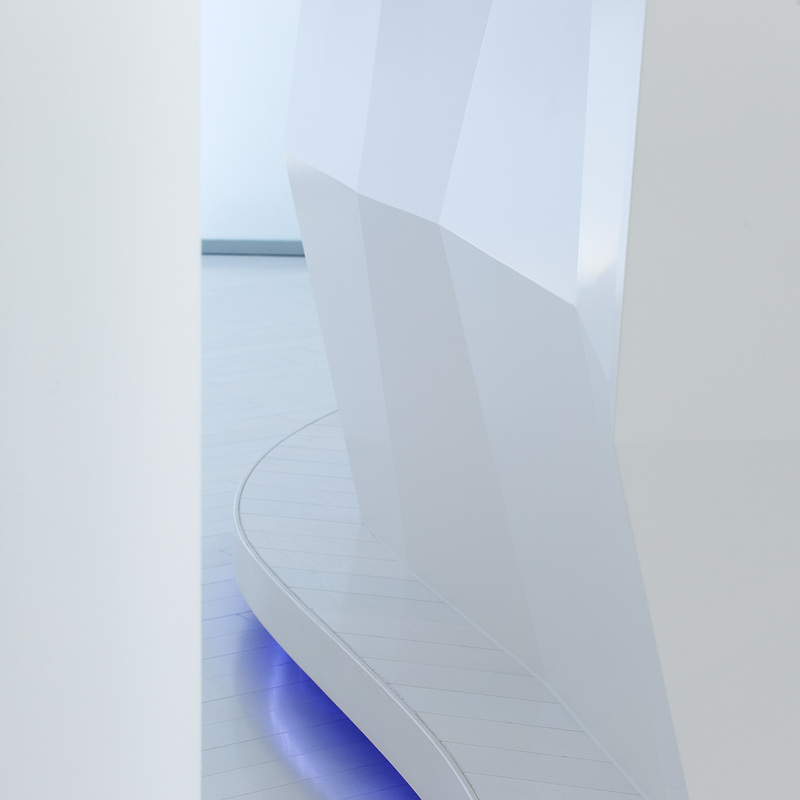 An undeniably impactful structure, the ICE presentation centre emerges from Toronto’s downtown core with striking angular architectural details reminiscent of an effervescent glacier. The two-tower residential development in the York Centre, is thoughtfully portrayed through Studio Munge’s modern Scandinavian design. 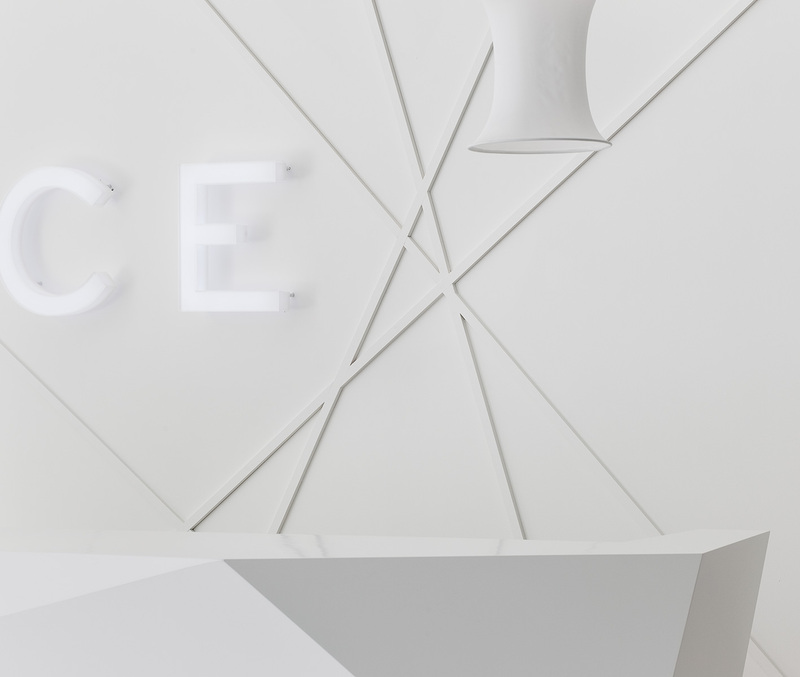 The space captures ICE's progressive and sleek persona as natural light pours through the floor-to-ceiling windows livening the all-white interiors and subtle sheer drapery. Sweeping curvatures, custom chiseled tables, and banquettes define intimate coves highlighted by a gentle blue underlighting. 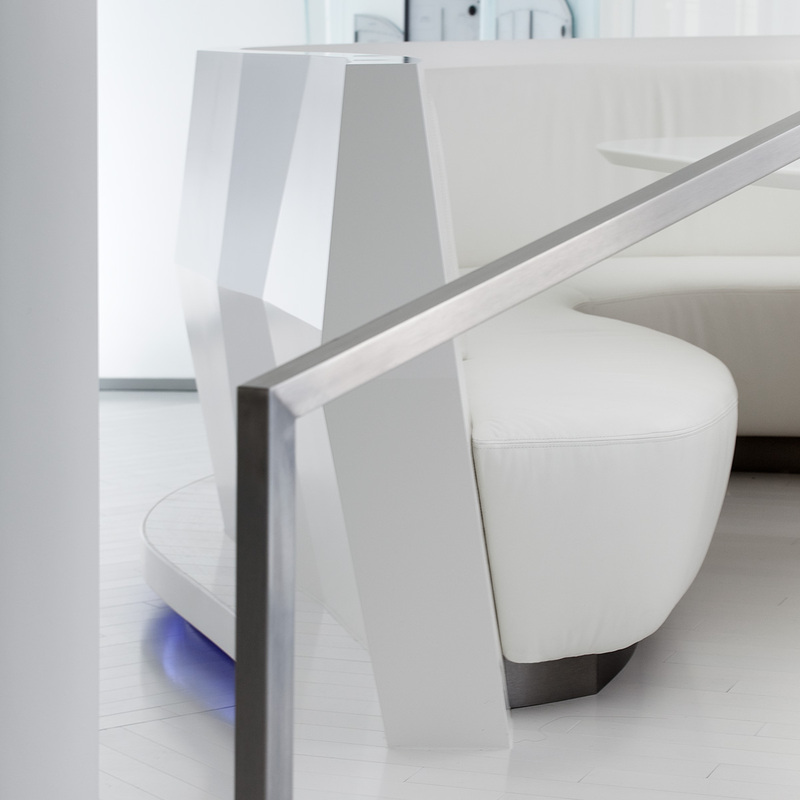 In addition to the ultra-modern reception, a furnished model suite allows guests to envision their future in ICE through polished white Nordic inspired accessories and blond wood finishes. An unexpected journey through Scandinavian sensibilities, the ICE presentation center is an evolved and inviting approach to modernism.